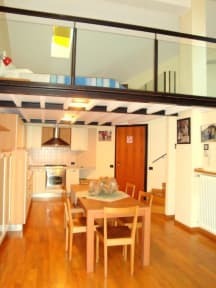 Central Bed, Bergamo, Włochy : Rezerwuj teraz! Central Bed is an elegant and new B&B, with wooden floors and furnished with good modern taste in a recently renewed 3 floor building. 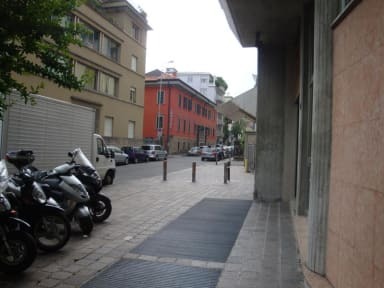 It is Located in the very city center of Bergamo, at only a few steps from train and bus station and very close to shops, restaurants and museums. The structure is well equipped with wooden floors and furnished in good modern taste. It is made up of 2 double rooms (king size bed), a bathroom, a kitchenette and a living room. It offers flat screen Tv, hairdryer, microwave and safe box. Besides, the guesthouse we have free WiFi connection available, air conditioning and comfortable smoking balcony. Breakfast is offered for free every morning and free parking is available from 7.00 a.m. to 1.00 a.m just a few steps from the apartment. Check in from 13:00 to 01:00. Reception Available from 13:00 until 01:00.